Crystal Meth withdrawal symptoms can last days or weeks, depending on how long one has been an addict. It is important to remember that all drugs (but ESPECIALLY this one) change the chemistry of the user's brain. 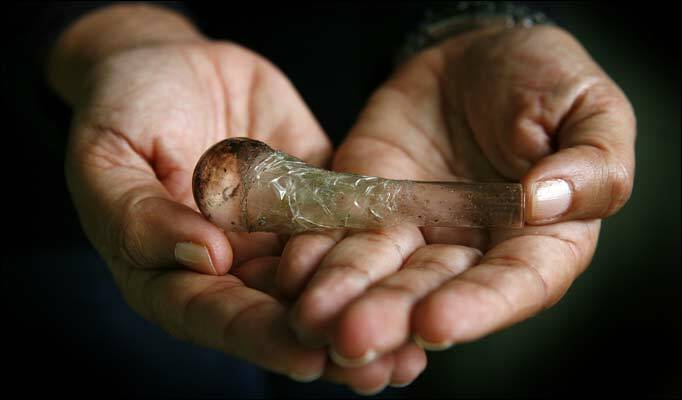 People who use Crystal Meth habitually tend to develop a higher tolerance to the drug. This means that it takes more of the drug to get the same "high". Chronic Crystal Meth users are subject to violent and self-destructive behaviors even if they do not intend to do such things. Once tolerance has commenced in a person’s body, Crystal Meth addiction is soon to follow. Crystal Meth withdrawal symptoms take place when the user is trying to stay off the drug or stops using the drug for an extended period of time. Once a person has stopped putting Crystal Meth into their body, the body reacts because it is used to having the drug to function. Drug withdrawal can be a painful process and many people choose to continue doing drugs instead of going through the uncomfortable feelings of the withdrawal process. Crystal Meth is not known to be physically addictive. In most cases it takes between twenty four and forty eight hours for the drug to process through a person's system after the last dose is taken. While Crystal Meth withdrawal symptoms can be very intense, they are generally psychological in nature. The addict going through the withdrawal process will experience symptoms of anxiety, agitation, sleeplessness, and intense cravings for the drug. Because of the severity of Crystal Meth withdrawal symptoms, many people choose to enter addiction treatment programs. Drug rehab helps to assist them while they are going though the withdrawal process and teaches them how to live drug-free once they have stopped using crystal meth. Withdrawal symptoms can be addressed through the use of various vitamins, talk therapy, rest, daily exercise, and a healthy nutritional program. While the actual symptoms associated with withdrawal subside within three days, the addict will still experience periods of emotional upheaval and cravings for the drug long after their last use. Meth users typically become talkative, confident and other times paranoid, aggressive and agitated. Meth addiction has many negative health consequences including extreme weight loss, severe dental problems (meth mouth), anxiety, confusion, insomnia, mood disturbances, and violent behavior. Several forms of meth addiction treatment have proven effective. The most common include comprehensive cognitive-behavioral interventions, behavioral therapy, family education, individual counseling, 12-step support, drug testing and encouragement for nondrug-related activities. Using meth while pregnant can cause serious harm to the developing fetus. Meth use causes damage to the users physically, mentally and socially. They experience severe problems with their health, their emotional wellbeing and their interpersonal relationships with friends and family.